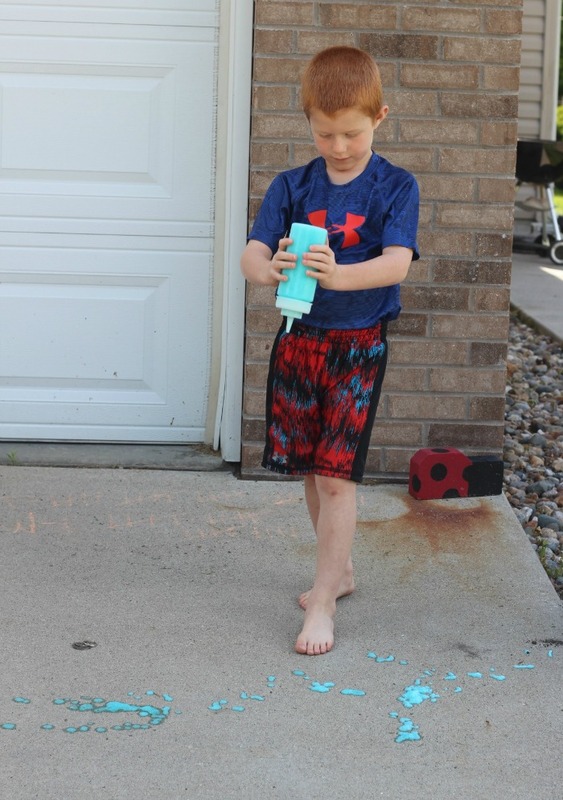 You may have noticed that we really enjoy playing with soap foam at our house! 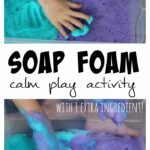 It’s so fun to play with…it’s soft, squishy, fluffy, and is easy to clean up! 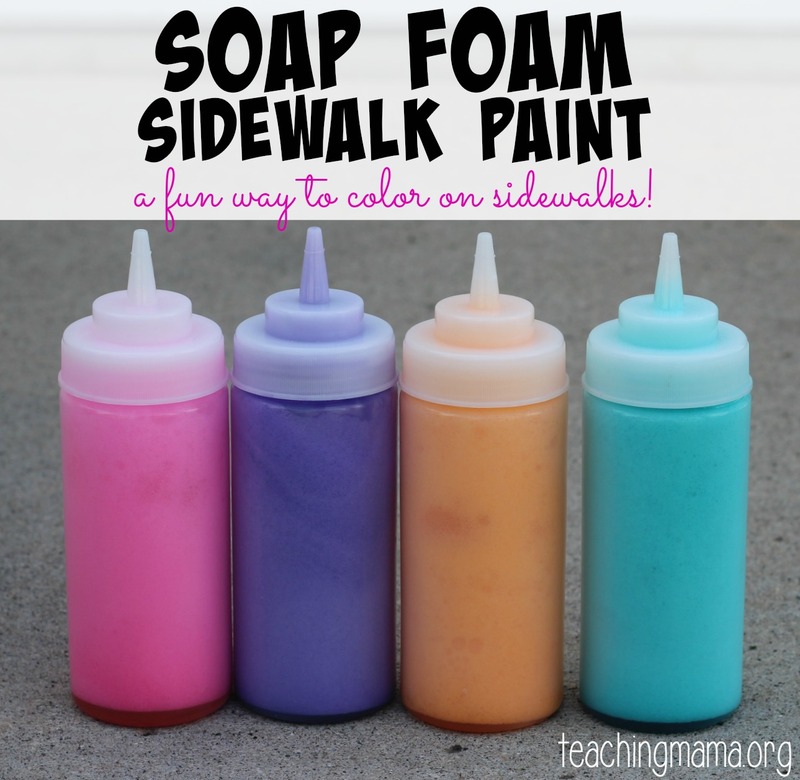 Today I’m sharing how to play with soap foam on the sidewalks. 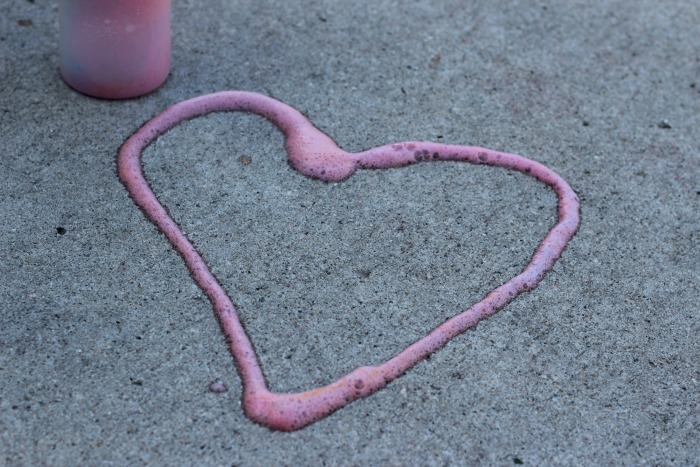 Pour 2 tablespoons of dish soap, a few drops of food coloring, and 1/4 cup of water into a food processor or blender. Turn the food processor on for about 30 seconds (or until it is foamy). Scoop the foam into the squeeze bottles. 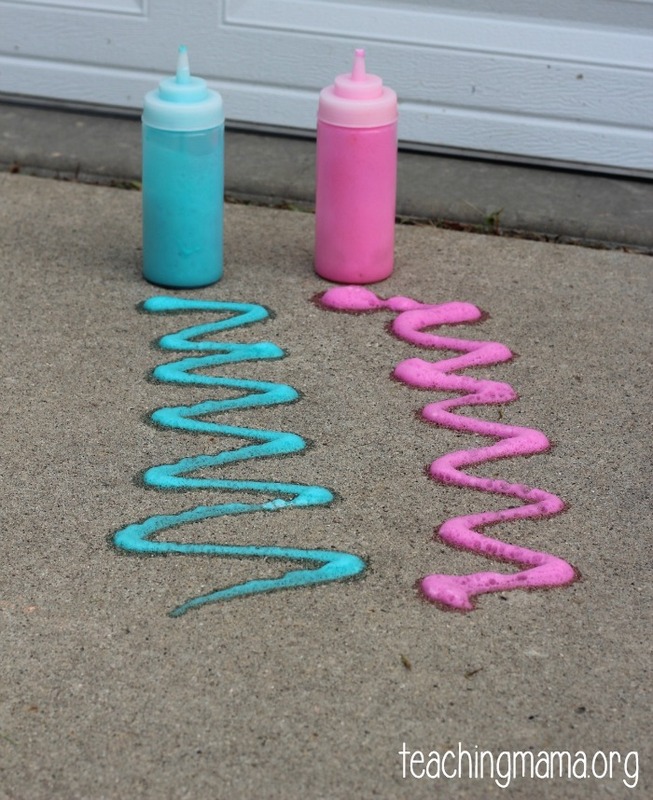 Then go outside and squeeze the bottles onto the sidewalk. 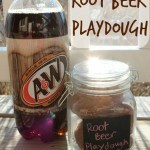 The other way to make this is to pour 1/2 cup water into a quick stir pitcher (I use mine that is from Pampered Chef). Then add 4 tablespoons of dish soap. Mix it up using the handle (about 20 seconds) until the foam reaches the top of the pitcher. Add in some food coloring or even Jell-O for a nice scent. 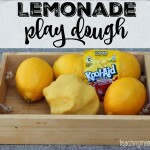 This is a great way to get kids involved in making this recipe! 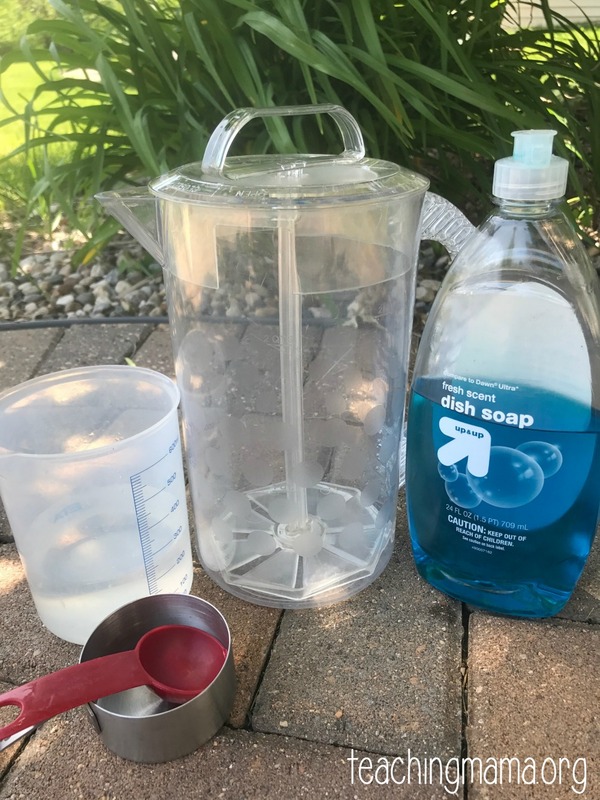 Make sure to use the soap foam bottles right away. They lose their foam if they sit too long. 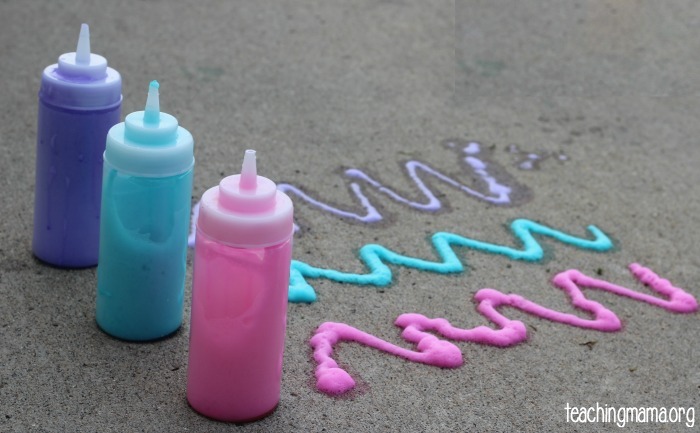 Use the paint to draw designs or practice writing names! See how fun this looks? 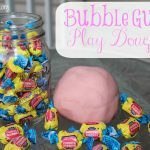 I promise your kids will LOVE this activity! If you want to see this in action, check out my video below! Does this stain clothes if my child got it on her clothes? 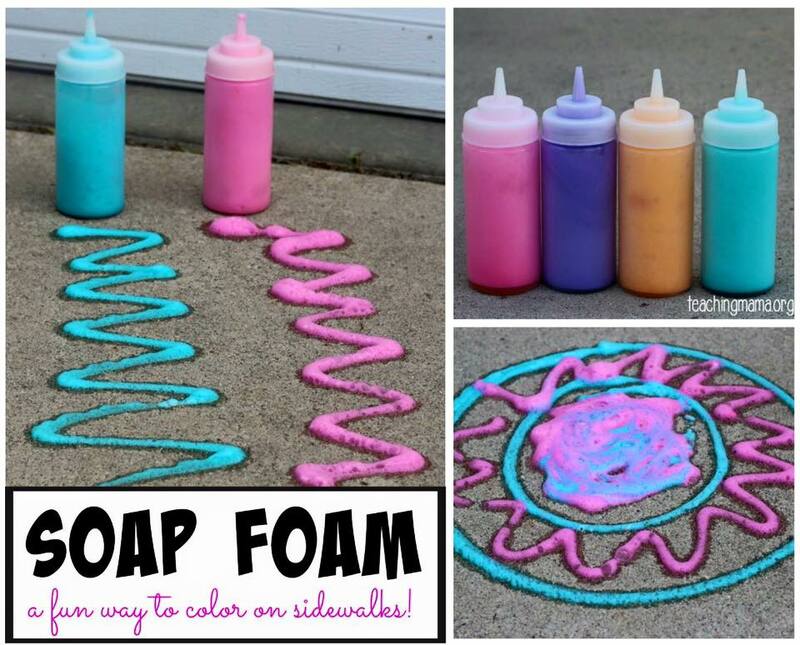 Looks fun but I write about stains with food coloring. Thanks! Great question! It did not stain our clothing. I am hesitant to claim that it would never stain since I only used one kind of gel food coloring. As a test, I put some on a white rag and let it sit for a bit. It washed right out when I washed it in the sink. 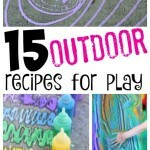 I would put kids in play clothes if you are worried about stains. Hope that helps! I also used Palmolive concentrated dish soap and it worked great. I’m thinking about trying this with “no tears” baby shampoo to guard against burning eyes in my little grands. Any thoughts or have you tried this? so, my question would be if your children’s hands were different colors for a few days? 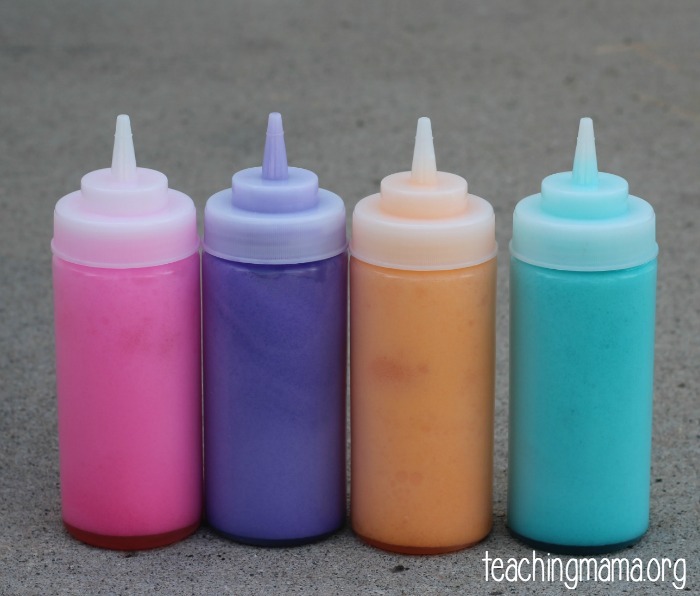 I have seen several homemade paint recipes and they all use food coloring. Don’t get me wrong, we’ve played around with food coloring plenty in our house but it would be nice if it didn’t actually stay on our skin so long. Lol! I think the baby shampoo idea is great. 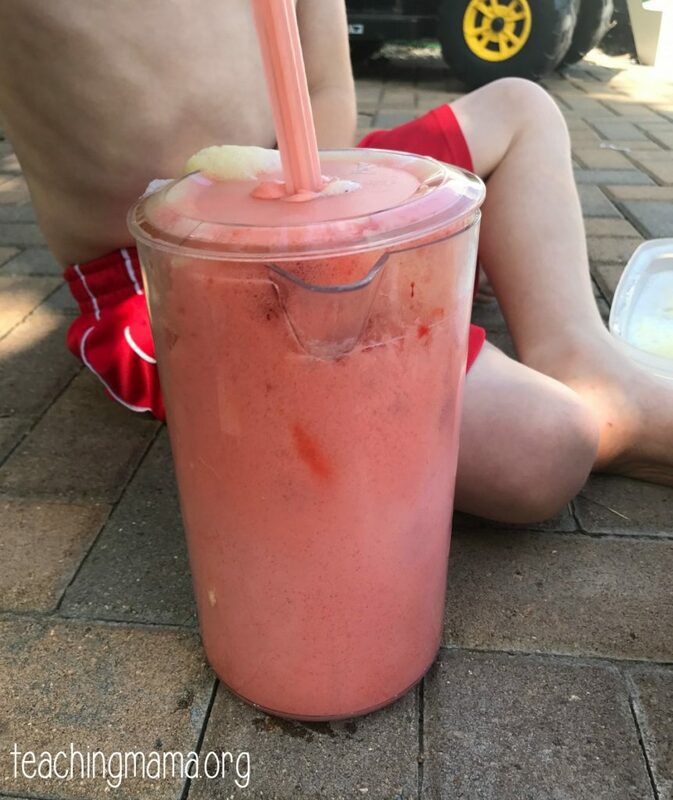 You could buy a container of it at the dollar store for cheap and since it’s such a light orange color it probably would not affect the food coloring too much. Hi Laura! 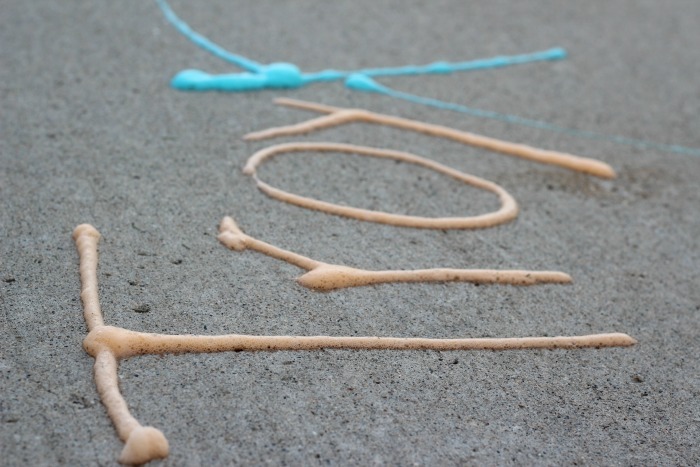 No, this does not stain your skin. 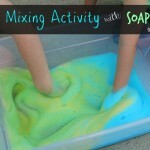 We’ve played with soap foam in a bin and the boys’ hands are COVERED in the colored foam. They never have a stain on their hands. I’m going to have to try the baby shampoo idea! Thanks for your comment. 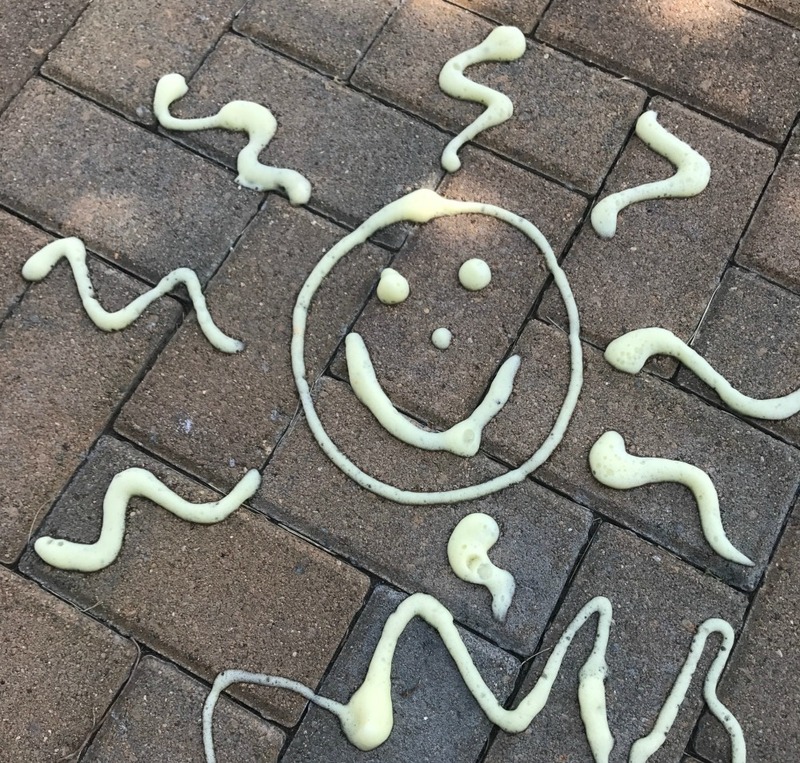 Seems like the kid is having fun! I wonder if the dye works on shirts? If so, that would be a good alternative with tie-dye. Haha See? I’m giving you ideas. Thanks for the idea! I don’t think it would work though, since it doesn’t stain a shirt. I let it sit on a white shirt for at least 5 minutes and it washed right out (because of the soap). It would be cool though if it worked! This looks like a blast! 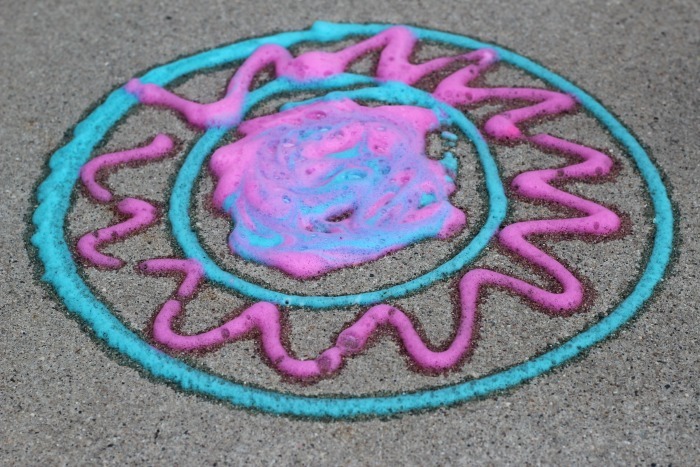 I’ve tried a few kinds of DIY sidewalk paints, but never with soap bubbles. My two little ones will love it. Will have to borrow a blender to get it made, but that’s fine by me. Pinning. Ok-i just made it for the grand daughter but do you have a suggestion for getting it into the quirt bottles easily? I can see that is going to take all day! The only way I’ve done it is by using a spoon to scoop it in. I’m sorry! I just received this in my feed. 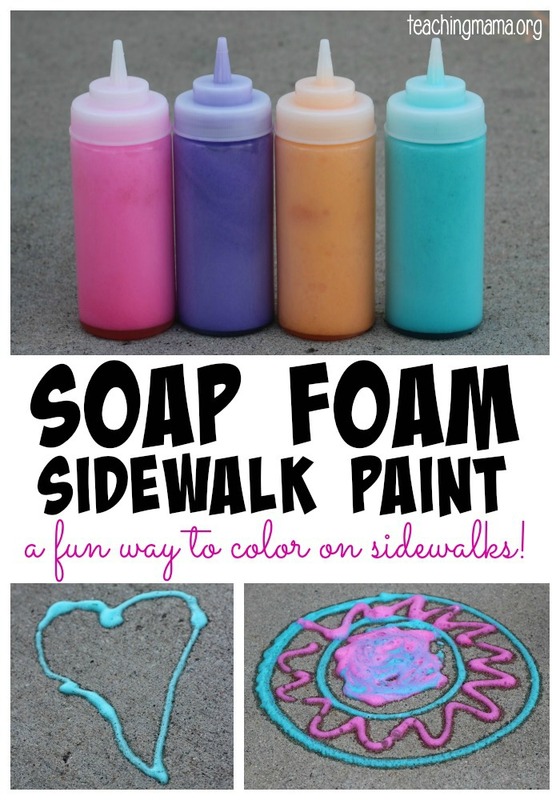 Looks like a fun activity! I’m going to use a wide mouth funnel such as one you would use when making jelly. Hopefully that will expedite the process.